Did you ever notice someone complaining that a thing doesn’t work just because of the fact that they don’t know anything about it? This is the best case with PPC or pay per click advertising. 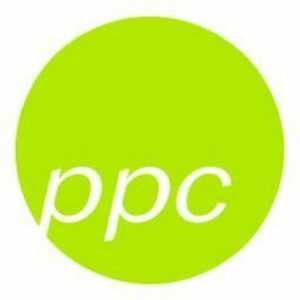 Most people who say that PPC doesn’t seem to work for them are the ones who make mistakes with the way in which they perceive their PPC campaigns, manage them and set them up. It is just that their own efforts are going in vain and hence they end up concluding that the entire exercise is nothing more than a folly. As per State of PPC survey, more than 80% of marketing professionals thought they had achieved enough PPC success since the previous years. Other marketers are also gaining results like they wish to. Amidst the successful marketers, if you’re someone who is not achieving the best that you thought you could, could it be due to the following mistakes? Check out the few errors to avoid. A long time has passed when online advertising only meant display and search even though this is still where the ultimate share of energy is focused on. Despite these, there are new options which might be better for reaching particular types of people whom you want to target in a specific campaign. For instance, LinkedIn can have an impactful effect and also the other advertising options like Instagram Stories ads, Quora ads and AdWord ads. So, you have to stay on the top of the trends and also remain agile. If you’re not considering the various intent signals in your PPC campaign, this is definitely going to hamper your performance. Comprehending the various ways in which your prospects engage with at several stages of the sales funnel is the key to reaching out to such target audience. Previously, search marketers thought that any kind of search for a keyword that’s specific to some product was a signal of quality intent. But this is no longer the case in this age of non-linear journey of the buyer. Yes, we all know that ‘mobile first’ is the latest strategy that needs to be taken into account but if you tend to concentrate more on only one device and disregard the others, you could possibly lose out on leads and customers who could have been valuable with your campaign. You may even be giving up on your desktop visitors if you optimize too much for mobile. When you experiment with different conversion flows and CTA, you can target wider audience and miss on few people interested in your offer. Do you think that click fraud is tarnishing your PPC campaign results? Well, there are few projections which claim that businesses could easily lose up to $16.5 billion in 2017 due to this. In order to fight against invalid traffic and click fraud, search engines take the required steps and all that they can but projection throughout the entire industry will definitely be time-consuming. You can never rely on that when your viewability is hurting. Ultimately, majority of the PPC mistakes occur when you fail to know about the best way in which you can reach out to your audience. If you can henceforth focus on reaching out to your target audience with the most appropriate message, you can stay tuned with what people want and hence optimize the campaign in the best way.